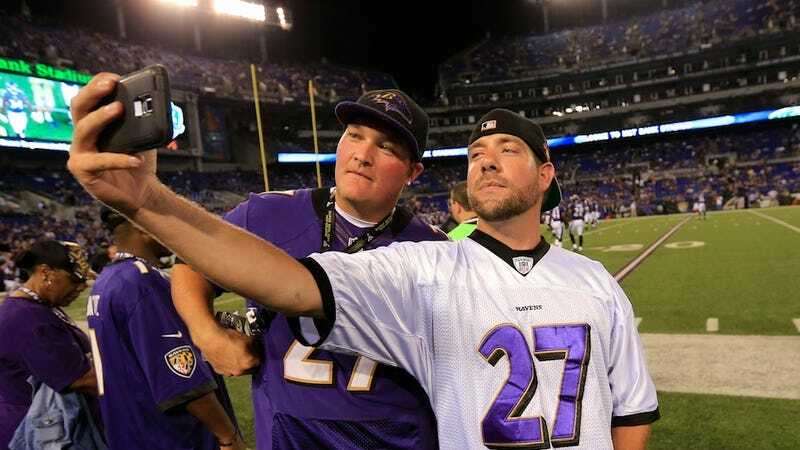 The worst human beings in the world gathered to support one of their own last night, showing up to the Baltimore Ravens' home game proudly sporting their beloved Ray Rice jerseys as a show of support for the man who was caught on elevator surveillance video knocking his wife out with a punch to the face. "There's two sides to every story," said the 23-year-old waitress from Baltimore. "I saw the video. That's their personal business, and it shouldn't have affected his career. I don't agree with domestic violence, but she's still with him, so obviously it wasn't that big of a deal. Everyone should just drop it." There's two sides to every punch, too. The fist, and the face. But I digress! "Yeah, I'm pretty aware of what he did. And, yes, it was awful and it was definitely a mistake on his part, but he deserves a second chance. … People have done so much worse in this league." We're only allowed to get upset about something if it is literally the worst thing in the whole world. Hey, did Ray Rice commit genocide? DIDN'T THINK SO! "I am making a statement," one fan told Mike Garafolo of Fox Sports 1. "I don't believe in domestic violence. But I will say, any woman who can hit a man, a man shouldn't have to sit there and take the abuse. The abuse goes both ways." The good news is that the CBS report makes it sound like the vast majority of Baltimore Ravens fans in attendance last night were interested in watching the game without Ray Rice. People were turning in their jerseys, altering their jerseys to say things like BE NICE, and generally trying to disavow domestic violence. But, you know, their ticket sales still supported the league that allowed this incident to fester. Money's still money, even if you feel bad about spending it!